Photo: A recent bushfire north of Newcastle. Firefighters spent the evening working to contain a bushfire burning in the Newcastle suburb of Fern Bay. As of 11 o’clock on Sunday morning, the fire was listed as ‘being controlled’ and remained at an ‘Advice’ level warning. 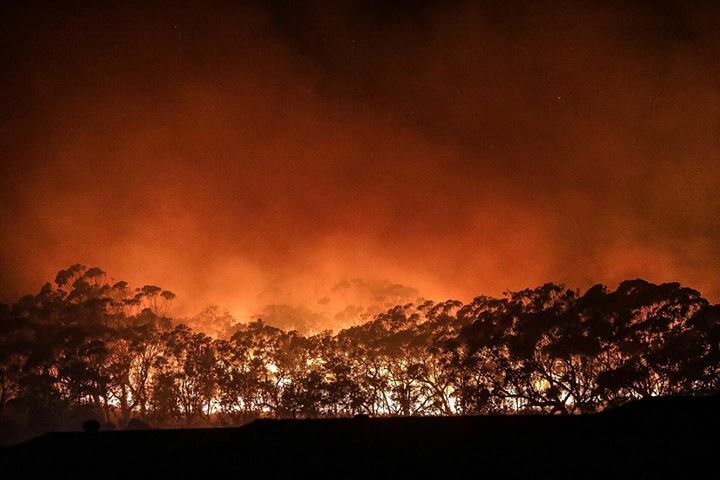 It’s already burnt through around 28 hectares, with flames coming within a few hundred metres of homes on Dune Drive on Saturday night. Water-bombing aircraft were called into to assist crews on the ground. Local residents should continue to monitor the situation.